Is there anything worse than getting into your own bed to hear your child frantically coughing at night? Nighttime cough can linger long after the illness is gone. As a mom, I am always in search for the best cough remedy for my kids! All coughs seem different, but the type of cough I’m talking about is the one that continues and never lets the kiddos catch a break. 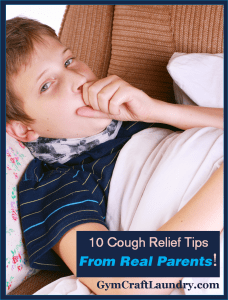 One of my most popular practical parenting advice articles is all about tried and true home remedies for coughing. Check out some more of the ways I have used to help with child coughing at night. One thing I always do when my child starts coughing at night is to move to the living room couch. I can comfort the coughing kid without waking the others. Plus, sometimes sleeping in the recliner nestled against me helps. As I was hearing one of my kids cough the other night, I thought, “what if it’s his pillow making him cough?” I was thinking there are probably some dust mites hanging out in that pillow. So, to help with preventing nighttime coughs, I decided to take his pillow and wash it the next day. I also gave him a new pillow to see if that would help and so far it has. In my last post about preventing nighttime coughs, I mentioned Claritin and how that can be a lifesaver for children who have allergies. A common question I get asked is “Does Benadryl help with cough?” Friends, you won’t believe what I discovered after a little research. Benadryl can actually help to clear up a night time cough. What got me thinking about it is when a runny nose drips in the back of the mouth, it can cause irritation, which in return can cause a cough. If the runny nose was cleared up, the cough would temporarily subside. Keep in mind that Benadryl is a diphenhydramine which has severe drowsiness as a side effect. You should never use Benadryl to make your child sleepy. 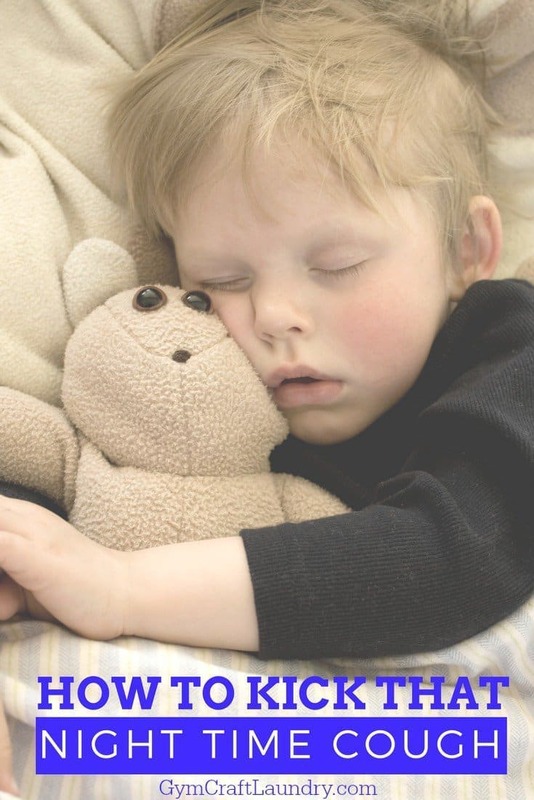 But the sleepiness side effect is helpful for a child who can’t sleep due to coughing at night. My daughter has several allergies that normally exacerbate her cough. I even make handy single dose Benadryl packets for easy access! Another reason I discovered my kiddo was probably coughing was the vent in his room was closed. Imagine how cold it can get at night in some homes. I quickly opened the vent so the air could flow and perhaps his cough would subside. You may even want to consider getting the vents cleaned out if you think there may be built up dust in your duct work. I have a friend that I always ask advice from when it comes to essential oils because I don’t know everything. She advised me to use a carrier oil and a few drops of lemon essential oil and rub it on the feet. I didn’t know lemon oil was a decongestant! I’m almost out of lemon oil, but I had a few drops left, so this worked perfectly. Don’t forget to check out my original popular cough relief tips if you haven’t seen it yet! This little hack is one I use for my daughter’s arthritis pain, my own digestive issues, and it kicks coughs too! Find the recipe right here for my popsicles with a purpose. Click this picture for more cough remedies from parents. While some coughs will go away on their own, it pains any mother to hear her child cough. I literally cannot sleep at night with my child coughing, so I will do anything to help them out. Over the changes of the seasons, my kids always get some sort of cough, which is why I have spent so much time trying to help them out when they do get it. 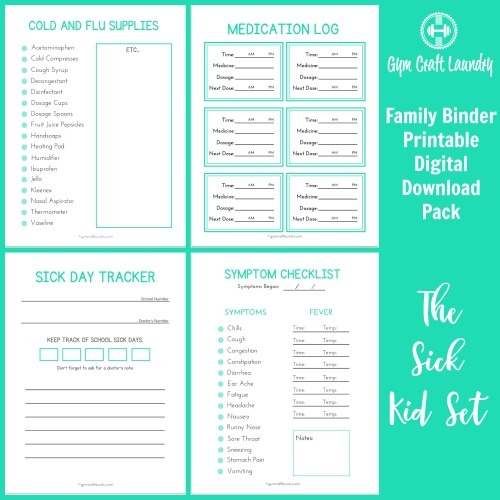 I hope this post helps someone out there who has a child with a nighttime cough that just won’t seem to go away. My daughter had whooping cough. We boiled thyme in a pot. Made a little tent, had my daughter in the thyme steam tent with the pot of thyme for 10 minutes. It shut down her cough for 4 hrs! It was the only thing that helped! The doctors shared with other patients and said they all had possitve results from them doing this…. Fresh or dried, and how much? I am not the originally commenter but after reading her suggestion I tried it with fresh thyme and used a fist full. I will try it with dried thyme the next time one of us has a cough and will let you know how it goes. I agree. My daughter’s coughs are almost always from allergies.